I knew I was reading something unique when Ananna made her escape on...a camel. Yes, a freakin' CAMEL. And here I thought fast getaways were only made on horses or in flashy sports cars. Shows how much I know, lol. The story is told entirely from Ananna's POV. She's an engaging heroine with a clear, concise voice, and she possesses all the qualities one looks for in a protagonist - bravery, resourcefulness, intelligence, and even a bit of ruthlessness when the situation calls for it (she is a pirate, after all). When trouble arises, she doesn't wring her hands and play the weeping damsel in distress, waiting for someone to rush in and save her. No, she jumps into the fray and handles the problem herself in the quickest, most efficient way possible. Sometimes it works, sometimes it doesn't, but one thing is certain. She will never roll over and play dead. No matter what happens, she will keep trying, keep fighting. It's a good thing, too, because removing the curse (view spoiler)[tying her and Naji's lives together (hide spoiler)] is no easy task. The assassin Naji, Ananna's companion, is a deliciously complex hero. Aloof and scarred in more ways than one, he and Ananna spend a lot of time warily circling each other. While Naji takes his protector duties very seriously, trust isn't easy for either of them. As the story progresses, though, a cautious friendship develops, and with each new challenge, those fragile ties are strengthened. Sadly, there is no romance between them - not yet - but the potential is certainly there and I suspect it will be explored in future books. The writing and world-building were quite good. I was almost instantly immersed in Ananna's world, and the descriptions contained just enough detail to convey a clear image or emotion, without bogging me down in a lot of extra words. Overall, Assassin's Curse is a fun, well-written read. I would definitely recommend it. 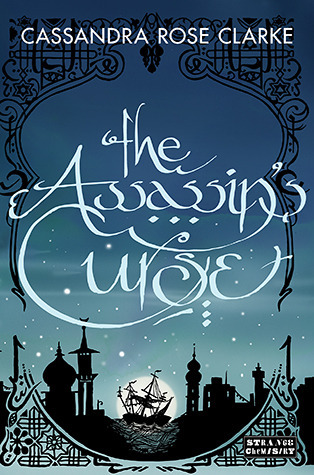 Sign into Goodreads to see if any of your friends have read The Assassin's Curse.